Cruising Yachts invites you aboard our lineup of new Jeanneau & Elan sailboats and yachts. THIS IS the West Coast Debut of the Jeanneau 440 and Jeanneau 490 Sun Odyssey sailboats. Cruising World magazine just announced the winners of its 2019 Boat of the Year competition! The top prize was awarded to the Jeanneau Sun Odyssey 490, designed and manufactured in France, which earned the title of Import Boat of the Year. Our new Bali 4.1 Catamaran didn’t arrive in time for the show, but will be here soon! 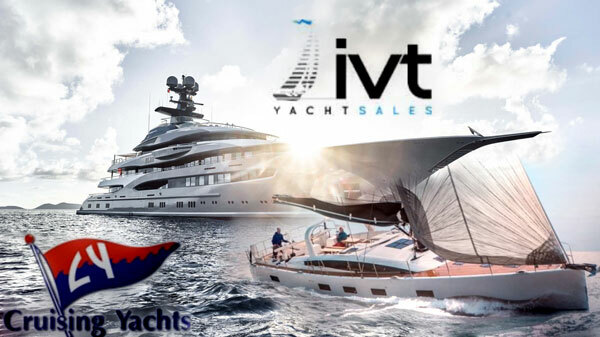 Our show lineup includes the following sailing yachts: 2018 Jeanneau 58, 2017 Jeanneau 54, 2018 Jeanneau 490, 2018 Jeanneau 440, 2019 Jeanneau 419, 2019 Jeanneau 349 and the 2018 Elan Impression 45. At Jeanneau, skilled craftsmen and professionals have always been essential to boat construction. They transmit their experience and their passion for work well done. Jeanneau owns the largest production site for cruising boats in Europe, stretching over 40 hectares. Over a hundred specialized engineers and technicians work in the Jeanneau design offices at the heart of a technological center. For Jeanneau, quality is an obsession. Impression Yachts by Elan have designed a full range of new Deck Saloon yachts to satisfy the demanding needs of modern yachtsmen. The on-deck systems allow for easy sailing especially for “short-handed” cruising whilst giving the space and comfort that you might only expect from a much larger yacht. The Launch of the NEW GT Series will begin with the GT5, this will be based on the award winning Elan E5. This yacht will bring the true meaning of Gran Turismo to the yachting world.